Anil Kapoor, who has been part of the film industry for over three decades now, has reinvented himself time and again. After delivering powerful performances in several films, he impressed audiences yet again in Zoya Akhtar’s new movie Dil Dhadakne Do. Riding high on the praise that’s coming his way, the actor opens up about his work approach, his kids, and more. You have spent so many years in B-Town, do you still get excited when your work is appreciated? For me, the excitement level is like it was in the initial years of my career. It encourages me to do better. I am soaking in all the accolades. But I have already started working on my next project (the second season of the Indian adaptation of an American TV show 24). Anil Kapoor promotes his TV series 24. At 58, what keeps you motivated? My priority is my family. Of course, I am passionate about my work, but the motivation comes from them. I work hard for them. In that sense, I am an Indian — an emotional family man, at heart. Anil Kapoor promotes Dil Dhadakne Do with Farhan Akhtar and Ranveer Singh. That’s one of the reasons I kept my part under wraps until the film’s promotions. I thought to myself, ‘Would I have accepted such an offer internationally?’ And I knew that Zoya and her team would make an international standard film. No one asked Marlon Brando why he played Al Pacino’s father in The Godfather series. It’s just a character you are playing. People also keep saying, "Oh, Anil looks younger than his age." I don’t want to get stuck in that trap. I don’t want to start believing that I am a young boy. I am not delusional. I am fit, and healthy, but I am not young. I am 58 years old. Were you expecting such a good response to your performance in Zoya’s film? When you take up a role, you don’t pre-empt what the response will be like. But somehow, you do know that there’s something special in the part. Ultimately, the way a role is presented on-screen depends on the director, the team and co-stars. You can’t do anything alone. So, I’d give the entire credit to Zoya and Reema (Kagti, writer). Like Shekhar (Kapur; film-maker), Zoya is great at extracting the best performances from her actors. Your career boasts of several strong performances. Does that make it hard for your kids (actors Sonam Kapoor and Harshvardhan Kapoor)? That will happen. But what can you do? I think this motivates them to work harder. They should take it positively. Also, what Sonam or Harsh can bring to the table, I can’t, and vice versa. So, you have to find your own niche, the way Sonam has. As for Harsh, it’s too early to talk. How do you see Sonam’s rise in the industry? It’s the correct way to rise. I used to tell her, "It’s better this way. Sometimes, actors witness instant rise, and then see an abrupt downfall. It’s better you come up slowly and steadily." I know being young, she wants it (her career) to be better, but I am very happy. 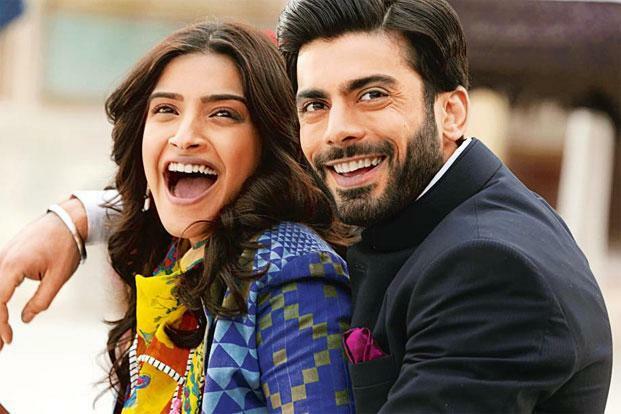 Sonam Kapoor in a still from Khoobsurat. How do you choose what films to do? I wait for roles that I feel I will be able to deliver. There are times when certain things come to me, but I feel I won’t be able to do justice to them. That way, I know what’s wrong or right. If you had asked me this question 10-15 years back, my answer would have been different. Of course, the pressure and insecurity to give your best is always there, but not in a negative way. You use all the things positively to do even better. Do you discuss work with your children? You always have the family to discuss things with. But ultimately, the decision is mine, because I have to go and perform on screen. Why do you take up less work nowadays? In the last few years, I have been part of several international projects. The Indian remake of an American TV show is taking up a lot of my time, and then I have to devote myself to my family and my production house too. Whatever I do, I have to give it my best, and not do it just for the sake of it. Everything has to be of a certain standard, and therefore, you can’t take up a lot of work. I am going through the best phase of my life and career — professionally and personally. Considering the success that films with female protagonists are witnessing, do you think it’s great time for Sonam too? It is. She has already done films like Aisha (2010) and Khoobsurat (2014). It’s not like she is taking up such films because of others. She was already doing them. Sonam has some upcoming films which have strong female characters. Things are evolving. Today, films are about good content, and the right casting. It’s not about the big stars. Things aren’t how they used to be; the audience has changed, and so has cinema.